Few motor vehicle accidents are as devastating as those between an automobile and a large truck. According to the National Highway Safety Transportation Administration, nearly 300 Californians were killed in large truck accidents in 2011 alone. Offering aggressive legal support, Gilleon Law Firm is a highly resourceful personal injury law firm known for its excellence, ethics and outstanding track record of success. We have lengthy experience handling complex injuries and the negligence that causes them. Too often, the physical consequences of a truck accident are head or brain injury — sometimes causing paralysis. Our legal team offers unmatched legal service, and a commitment to helping you obtain the best possible physical and financial outcome for your injury. Among motor vehicle accidents, truck accidents are the most complicated, owing to the increased possibility that multiple parties are involved, and to the regulatory nature of the trucking industry. Rapid investigation of the scene of a truck accident is vital. Trucking and insurance companies often dispatch investigators upon notification of an accident. 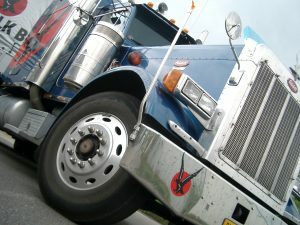 Thorough investigation of the accident scene involves physical and photographic observation, witness identification and analysis of available trucking data — including that obtained from the truck’s onboard computer, the logbooks and the event-data recorder. Collection of measurements and other evidence is necessary for meaningful accident reconstruction. Trucking accidents involve more than one party. Potential defendants in a truck accident matter include the driver, the trucking company, the truck owner, freight loaders, truck and parts manufacturers and maintenance personnel. Truck accident injuries are serious, and proper compensation is vital. If you are disabled after severe injury, monies are needed to fund medical and other care — long into your future, if not permanently. The legislation and regulation of the trucking industry is ever-changing. This is significant, because violations of restrictions on the amount of hours drivers can work can lead to accidents caused by fatigue or distraction — and such violations need to be punished. With that goal in mind, in August 2012, the Federal Motor Carrier Safety Administration enacted new compliance measures to address the approximately 4,000 fatalities from large truck and bus collisions that occur nationwide each year. When you work with a truck accident attorney from our San Diego firm, you will have skilled representation — and complete understanding of the rules and requirements of current state and federal legal and regulatory agencies. If you suffer serious injury, you can trust Gilleon Law Firm to thoroughly investigate the facts — and to fight for justice and fair compensation on your behalf. Located in downtown San Diego, and serving clients throughout San Diego, Orange and Los Angeles counties, our offices have onsite parking, and are convenient by train or car. Contact us online, or call 619.702.8623, to schedule a free consultation. After-hours appointments are available.